If you are thinking about Kitchen remodeling then you most certainly need to think about your countertops. That’s because they become a focal point of this space and can consume a large portion of the renovation budget. Simply put, you can’t get around the kitchen design without making plans for the countertops. But if you want to make good choices about this aspect of your kitchen remodeling project, you may want to know a little about current trends so you can make your decisions accordingly. Neutral tones are the new thing. Gone are the days of bright and vivid colors, at least for now. Neutral tones are making a splash in a big way for anyone who wants to keep up with the trends. While this trend is visible everywhere from clothing to cars, it is also true of kitchen counters. Soft neutral shades of tan, white, beige and grey are all the rage. This includes the increasingly popular blend of grey and beige that is referred to as greige. More homeowners are making the transition to phase out the backsplash and backsplash tiles and replacing the entire area with just the tiles. This allows for more intricate designs and the use of decorative tiles. Not to mention, you can save a good deal of money with just the backsplash tiles in place of the extra 4” inches of countertop once used to create the backsplash area. Quartz is no longer a fad, it has proven it is here to stay. Aside from the stunning visual aesthetics, many homeowners prefer quartz, an engineered stone, to natural stones like granite because it is non-porous. So, while granite can be permanently stained by liquids because it is porous. Quartz cannot. Sure, you can seal granite to keep it protected from damages caused by liquids, but that also requires frequent resealing. Since the focus is less on vibrant colors, that means you need patterns in order to create an interesting focal point. Veining and patterns in neutral hues are perfect for this. The same way you want interesting wood grain details in your natural wood surfaces, you want character in your natural stone countertops. The good news is that you don’t have to rely solely on natural formations when you can opt for quartz that is designed to resemble natural stone, like marble and granite. 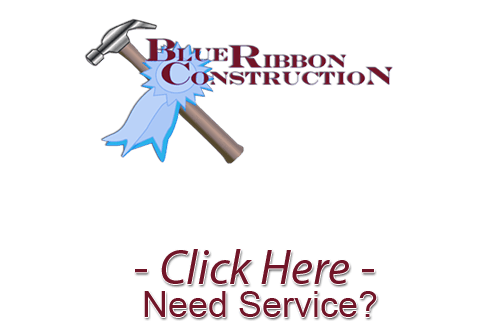 Blue Ribbon Construction can help you make the right choice for your kitchen countertops. 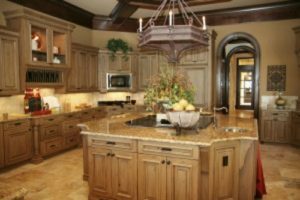 Call us for all of the kitchen remodeling needs you have for your Wichita home.